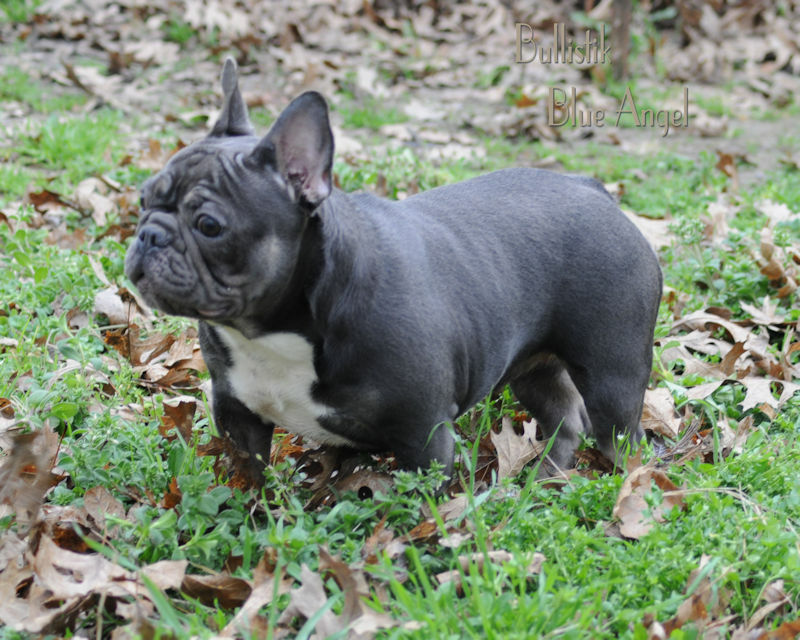 Although I have had BLUE Frenchies at Bullistik since 2002, and BLACK & TAN Frenchies at Bullistik since 2012, my little Blue Angel is the very first home bred frogdog that is a combination of the two color genes, ‘d’ and ‘at’. 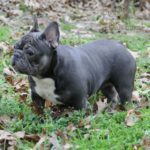 HellCat is not only blue but she also has those phenomenal tan markings, so she is the starting point of the future Blue & Tan French Bulldogs to be created here at Bullistik. 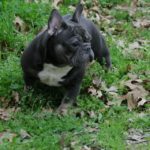 As a breeder, if my kick off for a specific outcome in my breeding program is a girl that has conformation, color, and health all wrapped up in one package, than Bullistik’s future is looking very bright with the help of HellCat, and that makes 2019 another year to look forward to for me. 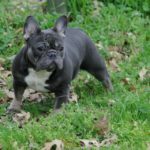 HellCat is a different color than her mama, Bullistik I Will Not Be Denied!, but these two girls are so similar in their structure, breed type, and mannerisms that you would be hard pressed not to think they were twins if they had matching coat color and markings. 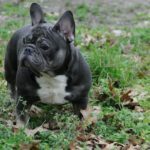 the next, it is impossible not to recognize the family resemblance, and that is a wonderful thing in a breeding program, provided the dog’s in question meet the breed standard. I started this specific color venture with my foundation ‘dd, ayat’ girl, Moonlight, then kept her ‘Dd, atat’ daughter, Denied, and am now on generation 3 with the lovely ‘dd, atat’ granddaughter, HellCat. 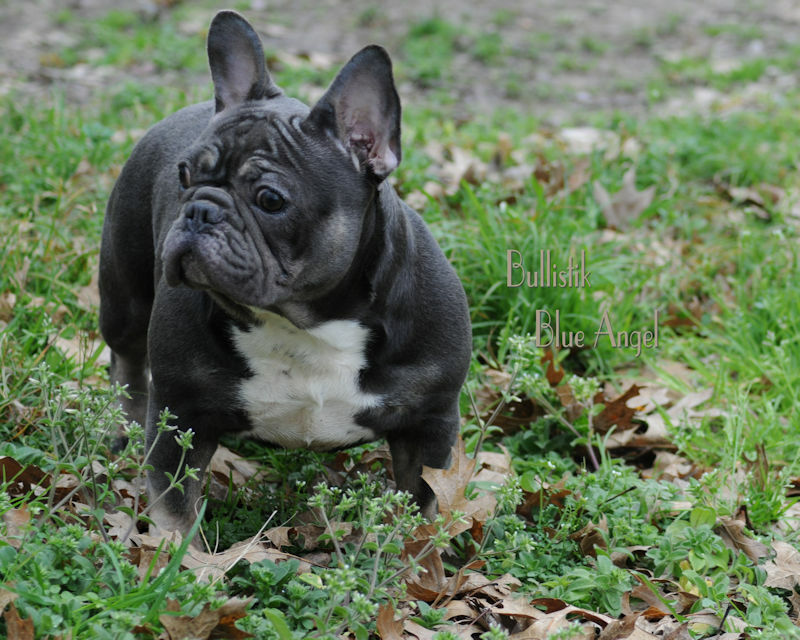 It took a few years to get where I wanted to go, but now I have exactly what I was working for in Bullistik Blue Angel, a solid Blue & Tan that is ‘dd, atat’. 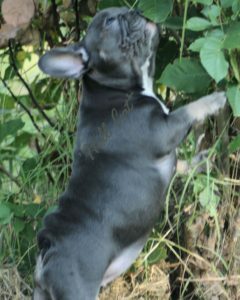 My end game, since Moonlight joined Bullistik in 2012, has always been to produce gorgeous, sound, healthy Bullistik bred Blue & Tan Frenchies, so to have finally achieved that goal is a gratifying accomplishment. 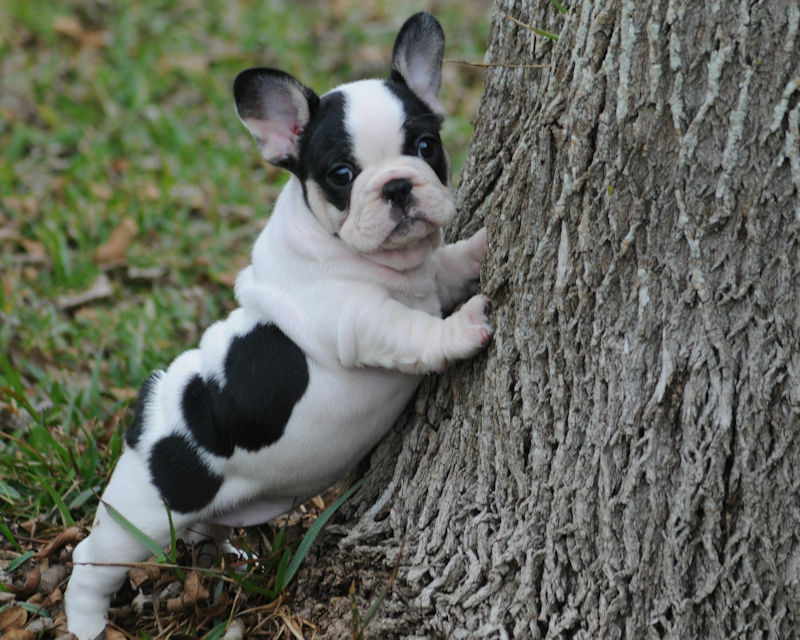 Of course, none of this could have happened without my two stud dogs that contributed to the overall effort, so I will take a moment to congratulate and applaud a job well done by these two wonderful sperm donors, Tycoon and TJ. Without these boys, none of this would have been possible. Our handful of a girl, HellCat, is 9 months old now, so I did a new photoshoot on 2.7.2019. 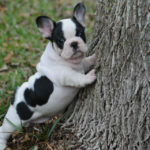 Check out some of those photos below and the rest of the photo array are available on this PICTORIAL!